Are you fit enough for an adventure ride? 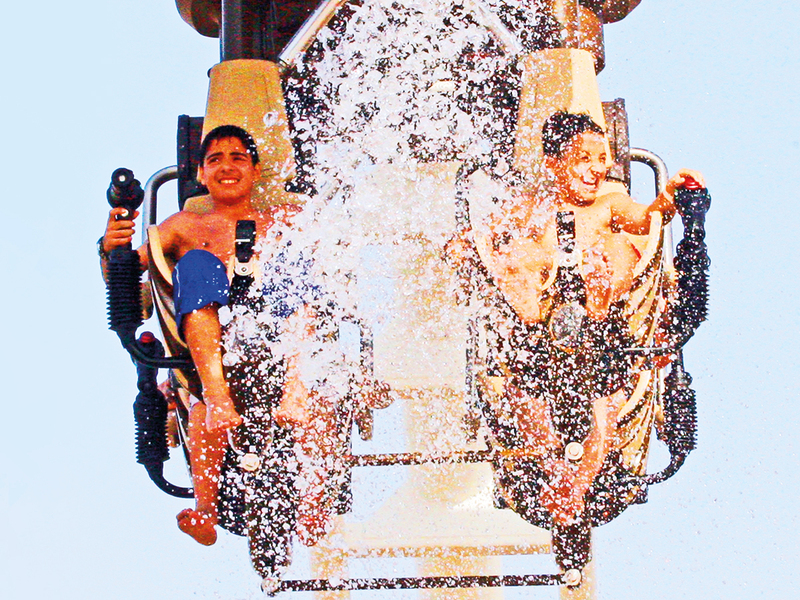 DUBAI: Two siblings, ages 15 and 13, who have just been on a roller coaster at a theme park in the UAE, can barely hide their sense of accomplishment. “I have to go up again,” says the younger of the two boys, his heart still racing, his face flush with excitement. “There’s nothing to beat the thrill of being hurtled towards the sky at such a high speed,” says the other, the earlier screams of joy still ringing in his ears. At another attraction, a resident who is with a visiting family is at a loss on how to deal with one of its members, a 50-year-old, who is completely disoriented after a drop tower ride. Visibly shaken, the man complains of nausea and dizziness and lies down on a bench, refusing to get up for the next 40 minutes. “I want to go home now,” he tells his host when he rises. As different people react differently to theme park attractions, the thrills and chills associated with them have raised concerns about safety. It’s not just about accidents that result from technical snags or adverse weather conditions — they are few and far between in the UAE. The more common questions pertain to the suitability of rides for people of different age groups, mental dispositions, physical health and abilities; equally pertinent is the basis on which specific criteria are spelt out, whether they are complied with and who is responsible should something go wrong. Speaking to Gulf News on the sidelines of the just concluded Leisure, Entertainment and Attractions Conference in Dubai, Markus Mack-Even, Chief Project Officer and General Manager of IMG Worlds of Adventure and chairman of the conference safety committee, said, “For very young and young kids two major criteria are considered when setting ride limitations: the human body of a child and the forces which get introduced by a ride system on the body, e.g. how many Gs are being experienced by the body? 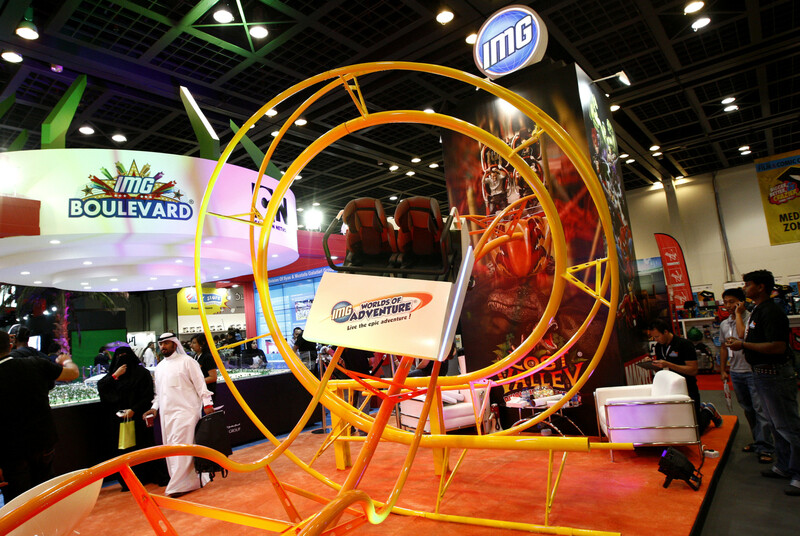 Examples for such rides include thrill rides, flat rides with a lot of spin and motion, rollercoasters with high G-forces and inversions. Dr Suha Al Hetary, General Practitioner, Medcare Medical Centre — Al Barsha, said: “Amusement parks notify people having serious medical conditions not to take some rides as these can lead to increase in blood pressure and vasoconstriction (constriction of blood vessels). She said the fear of riding a roller coaster is often conquered when the person is exposed to the pure thrill of it. Ferrari World Abu Dhabi also talks of the baffling paradox. Who is responsible for safety and health? Mack-Even said although theme parks have facility-wide terms and conditions which are agreed upon when purchasing a ticket and specific regulations and instructions posted at each ride, health safety is largely a matter of self-control on the part of the guests. “Theme parks do introduce warning signs and remind them of the danger of experiencing certain rides given certain conditions. Cast members along the attraction, from the entrance to the queue till the point of loading and checking lapbars, are trained to scan guests entering the ride and if there are any concerns, they are meant to approach the guest, similar to flight attendants when passengers enter an aeroplane,” he said. What happens when a health problem is sighted? The scenarios are different from ride to ride during a medical emergency. “While a round or flat ride needs to be stopped instantly, a coaster or a dark ride might need a different course of action. “The fastest and easiest way to evacuate a coaster is by bringing the coaster vehicle back to the station rather than stopping it midway and using emergency evacuation procedures. Bringing a coaster back to the station normally doesn’t take more than 90 seconds while initiating an emergency procedure will take several minutes,” Mack-Even said. He said in some markets, they have to categorise or rate a game if the content is inappropriate for a younger age group or has violent content. This sort of rating has not been implemented in MENA region,” he added. Loose articles, or items that people carry in their pockets or hands such as coins, keys or a mobile phone, are deemed the biggest hazards because they can fall out, get stuck, injure someone or cause some kind of damage during the ride. Theme park signs clearly state that no loose articles should be taken on a ride and cast members try and enforce the rule. Says Mack-Even, “If an article gets lost during the ride, the hassle of retrieving it is one part of the operations. The other is dealing with the safety aspect. For example, a roller coaster crosses a guest pathway below the coaster. Considering the risk, the operator often introduces a netting system below the track to catch loose articles as an additional safety measure. Tripping is another major hazard: When getting off a ride, loss of footing may lead to a fall. Visitors need to watch their step at all times. 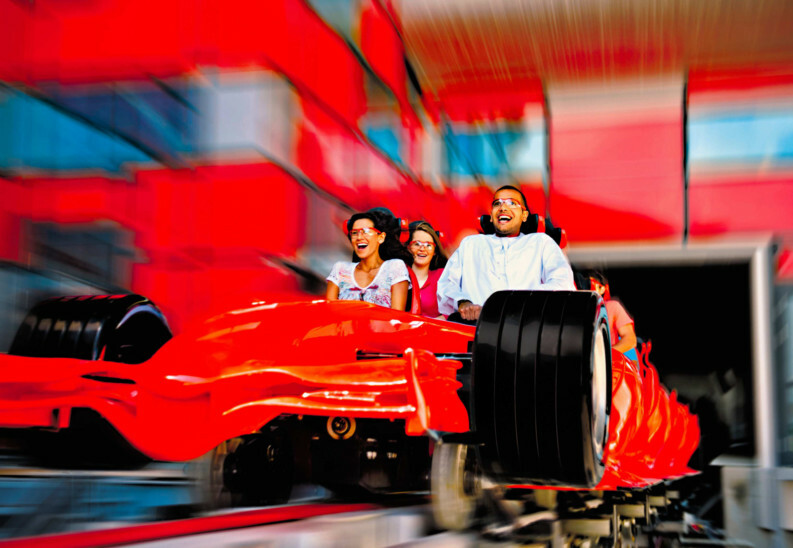 According to an analysis by Ferrari World, Abu Dhabi, which has the world’s fastest roller coaster, Formula Rossa, roller coasters remain the major attraction for any theme park around the world. People travel extensively to ride roller coasters, to be rattled to their cores and submit their bodies to self-inflicted fear, while others stand back and watch in awe, as a collection of strangers scream and laugh in harmony, as they loop, twist and spin. 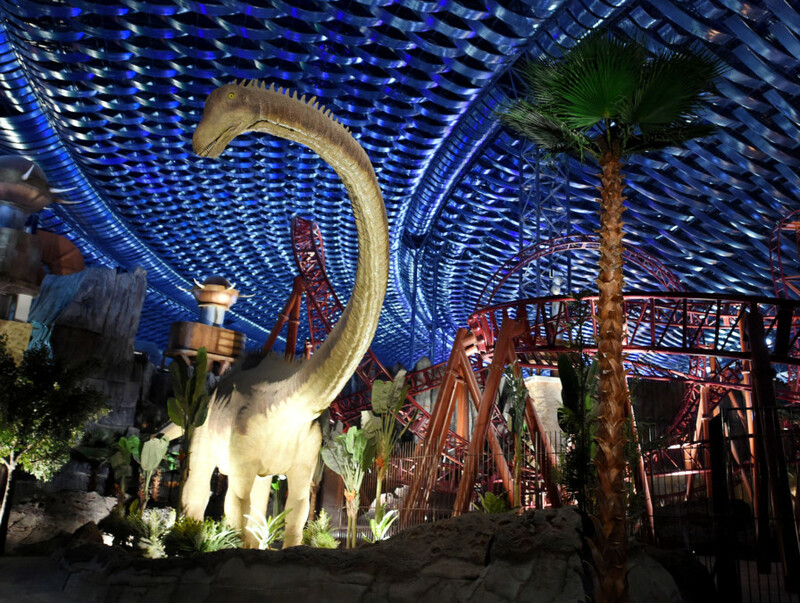 Quoting psychologist Margee Kerr, the theme park said activating the feeling of fear is something humans desire, in the same way they desire happiness. “Incredibly, the euphoria felt during a moment of fear is akin to the euphoria felt by total cheerfulness,” says Kerr. “This is because the adrenalin of a roller coaster activates our fight or flight response, which immediately suspends our rational mind, and prepares us for something that requires great attention in order to survive. In this state, we are gifted with enough energy to see ourselves through the initial fear or threat, and our sensitivity to pain is significantly reduced. The resulting sensation leaves us in a feeling of total bliss.